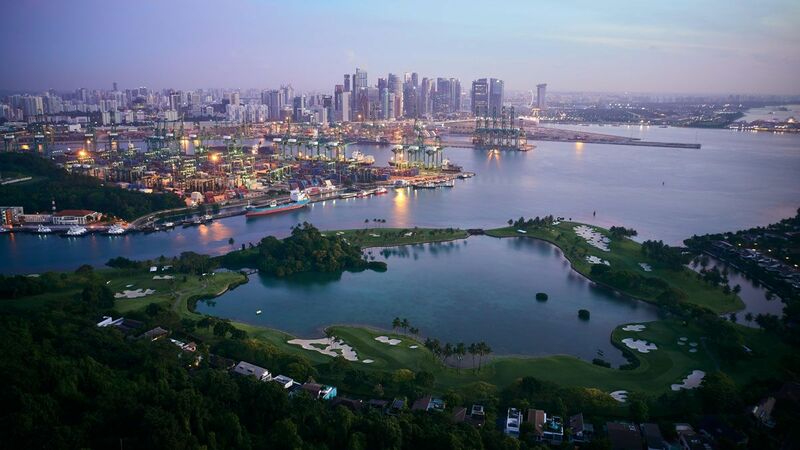 Building on the momentum of #KeepItGreen, the campaign will not only underline the world-class offering at Sentosa Golf Club, but also highlight the significant role Sentosa Island plays in ensuring Singapore remains one of the world’s most sought-after business and tourist destinations. Coined ‘The State of Fun’, Sentosa brings together Singapore’s first integrated resort, Resorts World Sentosa, which operates South East Asia’s first Universal Studios theme park, golden sandy beaches, rainforests and luxury resorts, alongside two award-winning championship golf courses, which together played host to a record-breaking four globally televised tournaments in 2018. Located a short cable car journey from the main island, Only Sentosa has the potential to deliver world-leading golf tournaments, iconic leisure attractions and unparalleled business opportunities in such a beautiful and one-of-a-kind location, an extraordinary proposition which has not only attracted the R&A and Asian Tour to make their regional homes on the island, but also entices millions of visitors every year. It is this remarkable island offering, combined with the quality of the courses and hospitality at Sentosa Golf Club, that ensures the SMBC Singapore Open will again return to Sentosa this week, with defending champion Sergio Garcia, Davis Love III, Matt Fitzpatrick, Ryder Cup star Paul Casey and Ryo Ishikawa amongst the big names in attendance. Commenting on Only Sentosa from the tournament, General Manager and Director of Agronomy at Sentosa Golf Club, Andy Johnston, said: “Sentosa Golf Club is bestowed a magnificent location, with players teeing it up against some of the most recognisable backdrops on the planet. Yet again we host another globally acknowledged tournament, so there’s never been a better opportunity for us to showcase this outstanding offering, not only in terms of golf but also as an all-encompassing destination. Sentosa Golf Club will also elaborate on its highly-praised #KeepItGreen campaign at the 2019 SMBC Singapore Open, which draws attention to eco-friendly golf course practices and increases awareness of the game to juniors in the local community.